Over the last decade, I have been, what I guess you could call, a community activist. My wife and I bought a house in Woodbine shortly after our marriage in 2005, and I immediately dived into community activism. I was fortunate to be part of a community on the upswing, and over 7 years I helped organize a neighborhood festival, close down a public nuisance, fight for zoning changes, and assist in the campaign of one the best Council Members the area has ever seen. About 5 years ago, I gravitated to focusing on public education. It was a natural shift, as I am the spouse of a public school teacher and a father to two public school children. For the last few years, I have been writing this blog that focuses on education issues in order to illuminate and to educate. I started out focusing on national issues, but like former Speaker of the House Tip O’Neill once said, “All politics are local.” The last couple of years, I’ve focused extensively on the issues facing Metro Nashville Public Schools. In order to do the subject justice, I’ve committed to forming an extensive network of educators in order to get a deeper understanding of the issues we face. As the spouse of an educator, I can testify that though what’s on the surface might seem like a fantastic idea, things are not always what they appear. I can’t tell you how many times I’ve expressed an opinion to my wife only to have her explain the errors in my reasoning. It’s long been my opinion that I’m not the smartest man in the room; I just know a lot of really smart people and I’ve worked very hard to earn their trust. That trust translates into getting their honest opinions, something I don’t take lightly. During my years of community service, I’ve often reflected on former President Barack Obama’s story of being a community organizer. He loved the work but grew frustrated because of the limited ability provided to make meaningful and lasting change. That frustration led to him seeking public office. 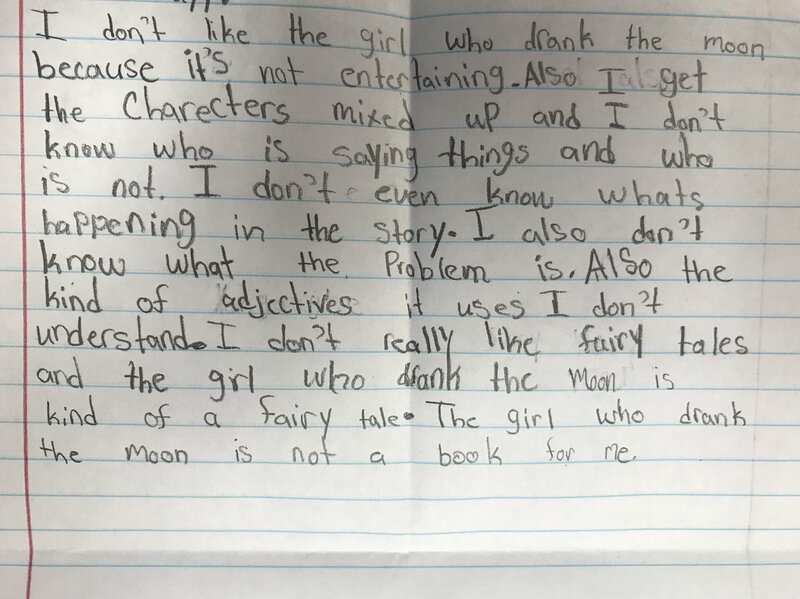 It’s a narrative I can relate to. And now it’s a narrative that led me to pull papers last week to run for the MNPS School Board seat in District 2. I pulled those papers with a few caveats. Having been deeply involved in the last two election cycles, and seeing first hand how dirty they got, I am vowing to compete in a different manner. I am not going to put on my brown shirt while my perceived enemies put on their green shirts and we spend the summer hurling vitriol at each other. I think one of the great tragedies that transpired as a direct result of those elections is that none of the losing candidates are still deeply involved in school issues. The experience of running for office was so bad that they retreated from leadership roles. At a time when we need more people involved in education, we are driving people out of the conversation. If a person feels strongly enough about education issues to commit to seeking office, shouldn’t we welcome them instead of trying to shame them? I share a part in the blame for those former candidates not being involved in the larger conversation, and as a form of amends, I’m going to keep what happened to them in the forefront of my campaign and attempt to do everything I can to ensure that we invite more people to the table and not to try to make it an exclusive club. Winning is important, but how you win is equally important. The depth of personal attacks leveled at candidates during the last election cycle was, upon reflection, abhorrent. A life well lived comes with as many mistakes as it does successes. My life is no exception. I’ve been a recovering alcoholic for 18 years. Prior to that, I ran rock and roll clubs here in town. If you are in search of stories to paint me in a bad light, those are readily available and have been for years. But I’ve always believed that we are all works in process and the goal is to be a lifelong learner. It’s a goal I’ve fully embraced. I don’t run from my past, nor do I allow it to be my definition. 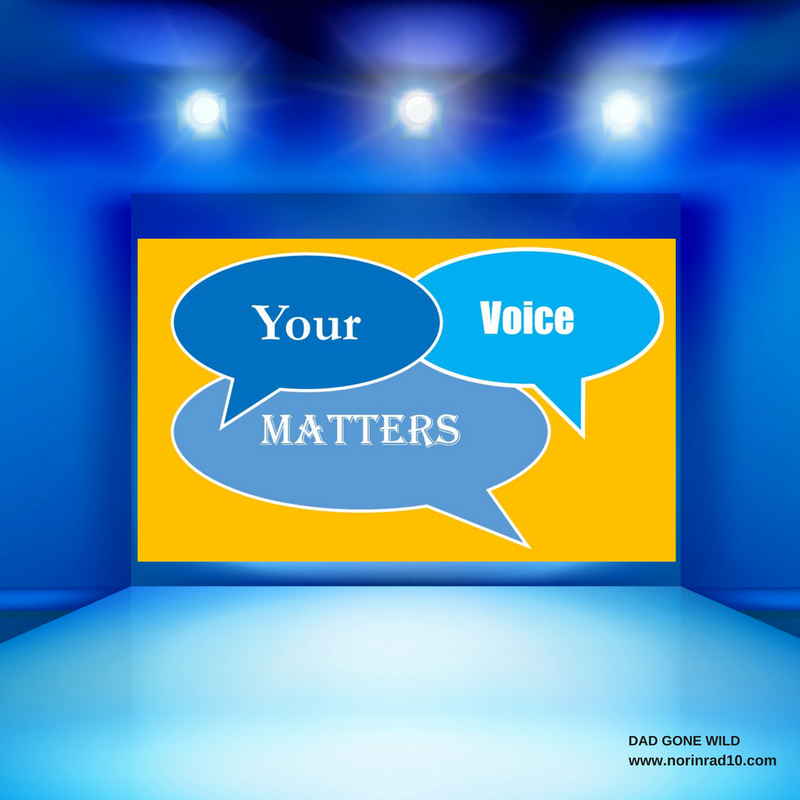 I am going to do my best to focus on why I am the best candidate – the level of my current involvement, the network I’ve built, my knowledge of the system, my willingness to be a voice for teachers – and not on why the other candidates are not worthy. As far as I am concerned, they are all worthy candidates, and I look forward to spirited conversations about the issues. How my opponents choose to campaign is entirely up to them. As I tell my children, do not focus on what others do, but rather on your own actions. That is my intention, and time will tell if I’m successful. Do not expect to hear me engaging in charter school rhetoric. My position on charter schools is well documented and all you have to do is read my writings. I see no need to spend a summer rehashing those positions. Those who hold different positions are not my enemies, but just people with a different opinion. I don’t have to embrace their opinions to learn from them; I just have to respect them. And I must say I’ve enjoyed our interactions over the past year. Throughout the past summer and fall, I’ve engaged in conversations with many who once would have been considered opponents. While we don’t agree on the role of charter schools, we do agree on a number of big issues. Those issues include, but are not limited to, teacher recruitment and retention, capital needs for our existing schools, a deeper discussion on discipline policies and the development of restorative practices, and the prudent use of our financial resources. If we address those issues in a meaningful manner, the charter school discussion will become more focused. Instead of fighting against something, it’s imperative that we all fight for all of our schools – traditional, charter, magnet. Every one of those schools are made up of families who made a decision to invest in them. Families who are residents of Nashville. Families who are represented by the Metro Nashville Public School Board. In addition to my aforementioned experience, I’ve also sat on councils for English Learners, gifted education, and have been deeply involved in literacy initiatives and the Parent Advisory Committee, on a district and cluster level. I’ve taken time to learn about the challenges facing our children who are diagnosed with dyslexia and to deep dive into MAP testing and the role it can play. I don’t say this to extoll my knowledge, but rather as a means to demonstrate that I have developed the access to get the most knowledgeable people to the table. A table that has been lacking their presence for too long. By respecting the views of my former enemies, I am not dismissing the views of my allies. We share common beliefs that are also well documented. Beliefs that form the core of my philosophy. Beliefs that I’m not afraid to defend or modify if presented with valid counterarguments. I talked with an educator last week who told me that any parent who criticizes her programs is invited to be on her council. She enjoys hearing their opinion, they are obviously engaged, and she has nothing to hide. That’s a philosophy that I can truly embrace. One of the big questions, at least for me, is what will become of the Dad Gone Wild blog. I honestly don’t know. It is my belief that it has become an important community forum and one that I am committed to continuing. Despite the many potential pitfalls, I have worked too hard to build this forum up to potentially let it fade away. When my stepdaughter was 16 years old, I made a commitment to her and myself. If there was something she needed to hear, I would deliver it, even if it meant her never speaking to me again. My love for her was that deep and her well-being took precedent over everything else. I feel the same about public schools. Winning is important, but it’s not the only thing. My writings may hand my opponents the race, but if they lead to greater illumination, understanding, or action… so be it. The irony that the seat I seek was originally sought by current board member JoAnn Brannon to counter the policies of then-Director of Schools Pedro Garcia is not lost on me. Some will accuse me of seeking the seat in order to grind an axe with the current Director of Schools Shawn Joseph. In this case, I am lucky to have a model like Dr. Brannon to emulate. Over the years, she has done exemplary work and has always focused on policies over personalities. It’s a standard I will strive to achieve. I did not pull papers to run as a reaction to Dr. Joseph. I pulled papers because I feel that it is vital to change the conversation. I have no desire to be a part of the fastest improving district in the country. I do have a desire to ensure that we have a school system that provides an exceptional education to all kids and does it in an environment that is supportive, and where everyone – parents, students, teachers, administrators, community members – all feel welcome and supported. To achieve that, we need an honest conversation fueled by increased transparency and an increased focus on student/teacher needs. A conversation that at times could be uncomfortable, and perhaps even painful, but we owe it to kids to hold that ongoing conversation. I am fully aware that I may come off as idealistic, and maybe a little nutty, but it is my hope that enough of you feel idealistic, and maybe a little nutty, that we can make a difference together. I am not fond of politicians who talk about what they will do for you. This work is all about relationships, and I’ve been fortunate to have the opportunity to build some of the strongest. To me it’s always been about what we can do together, and that begins with an honest conversation. I want to invite you along for the ride, and win, lose or draw, I’m not going anywhere. “It’s a real challenge to capture in one report the complexity of preparing our candidates to be teachers, especially when you’re comparing very different programs across the state,” said Lisa Zagumny, dean of the College of Education at Tennessee Tech, which increased its points in 2017 but not enough to improve its overall score. Don’t miss your opportunity to be a part of the fastest-growing urban district filled with opportunities to effect change daily. We are looking for educational support professionals for all school-based positions including teachers and para-educators. Join us on this Saturday, Feb .17, for the opportunity to network and interview with principals across all tier levels. Not only will principals be conducting on-site interviews but they will be making recommendations for hire as well. 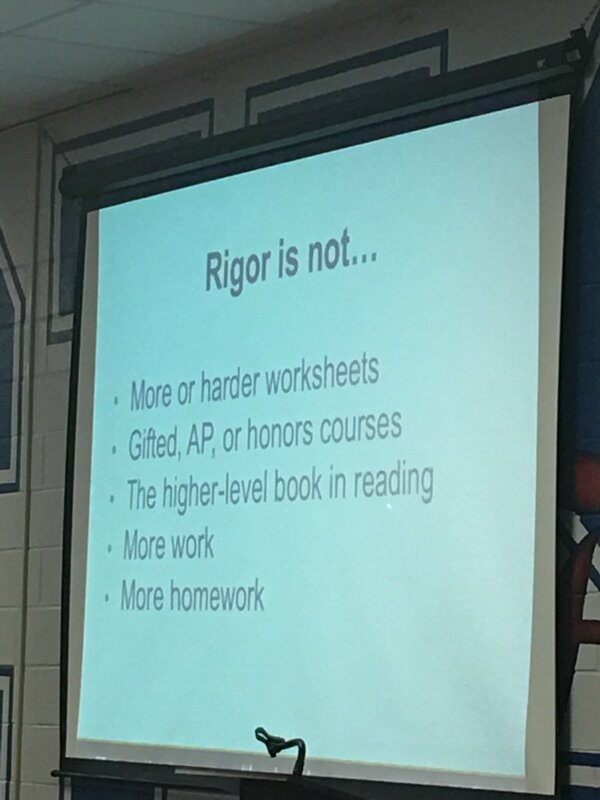 Love this definition of Rigor. Vesia Wilson-Hawkins continues her efforts to try to shine a light on the district’s performance via an Op-ed piece in the Tennessean. Kindergarten registration for the 2018-19 school year is open. Make sure you bring all the necessary documents with you to register your child. Not every book is for every reader. Sometimes the book you choose just isn’t the book for you… and that’s OK! Growing as a reader is being able to hone in on the books that bring you joy, and the ones that don’t. Kids need the opportunity to make that choice. Per Hillsboro Principal Shuler Pelham, ISR used to be “the best kept secret” in MNPS. Not anymore! Read more about this great program at HHS and how it provides some of the most challenging and rigorous instruction in Tennessee. School Board member Amy Frogge has some thoughts on school budgets that she shares via the TNEd Report. Here is a sobering thought for you. These number reflect an average day in MNPS. Number of teacher vacancies today: 943. Number of subs who picked up the jobs: 500. I would argue that while we were busy converting middle schools to STEAM schools and buying scripted curriculum, we should have been investing in teachers. But that’s just me. My good friend Mary Holden is heading back to the classroom. And that’s a good thing. I just finished Michael Connelly’s latest, The Late Show. If you like good writing, police procedurals, and action, you can’t go wrong with this one. Brandi Carlile has a new album out. It’s produced by Dave Cobb and Shooter Jennings with original cover art by Scott Avett of the Avett Brothers. Time now for our weekly Q & A. I think we have some good questions this week, and I really need your participation. The first question is about me pulling papers to run for school board. Good idea? Bad idea? What do you think? Nothing like tackling my first test right out of the box. Questions 2 and 3 arise out of events that transpired down in Florida this past week. I believe that we are past the stage of talking, and at some point we need to actually do something. I’d like to get your feelings about putting an armed officer in every school or arming teachers. Are these viable solutions or another trip down the wrong path? You tell me. That’s it for now. If you need to contact me, you can do so at Norinrad10@yahoo.com. I try to promote as many of the things sent to me as possible, but I do apologize if I fall short. I have started using Patreon. If you think what I do has monetary value, you can go there and make a donation/pledge. Trust me, I know I ain’t going to get rich, but at the end of the day I’m just a Dad trying to get by. Check out the Dad Gone Wild Facebook page as well. Yes! Best news of my day. Pingback: Tennessee Education Report | From Blogger to Board Member? TC I’m glad you are running. You have a wealth of knowledge and are passionate about the hearts and minds of kids. Best of luck!